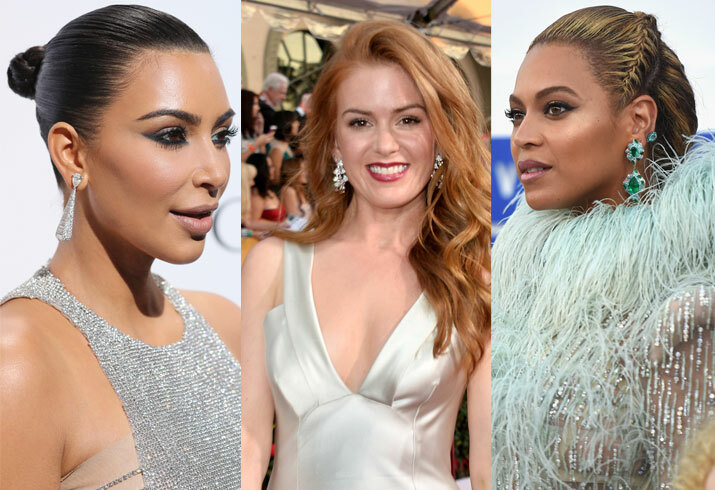 Gear up for the holidays with great hair inspired by your favorite celebs! Don't let travel hair ruin your holiday! Keep your look fresh with a braided updo like Beyoncé. Nothing says effortless glam like Jennifer Lopez's messy ponytail. If you've got them, flaunt them! Embrace those natural curls like Blackish star Yara Shahidi. Try on soft, face-flattering waves like Isla Fisher's. When all else fails, sleek and smooth strands like Jennifer Aniston's are sure to be a hit. No fuss no muss! Make like Kim Kardashian and brush those strands into a sleek bun for elegance in an instant.